Industry 4.0, or the `Internet of Things`, promises to be a far-reaching revolution in production. The new Sigma Air Manager 4.0 (SAM 4.0) makes it all possible: the ability to make predictions far in advance, know today what the future holds, network components and exploit much larger data volumes than ever before - whilst also ensuring significant energy cost savings and delivering a reliable, consistent and efficient compressed air supply. 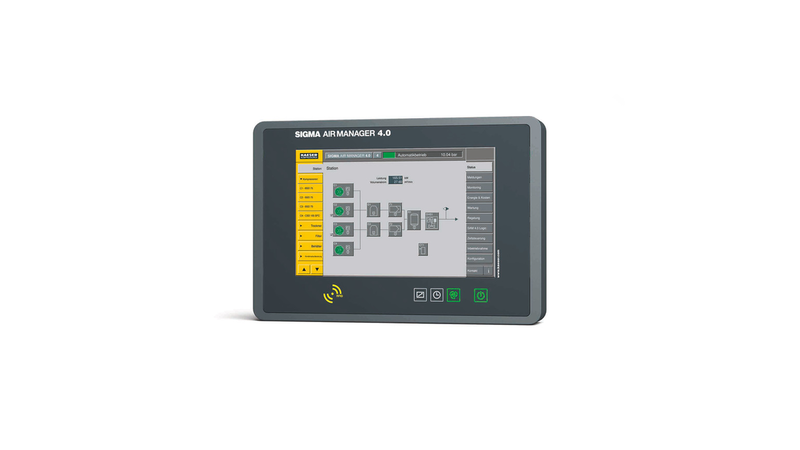 The latest generation of the Sigma Air Manager (SAM 4.0) - the master control system for all of your compressed air production and treatment components - is now available. Amongst many other key benefits, the new system optimises pressure values, automatically adjusts compressor system air delivery to accommodate fluctuating air demand and optimises system efficiency through constant analysis of the relationship between control losses, switching losses and pressure flexibility. Moreover, the SAM 4.0 enables your compressed air station to take advantage of future services such as predictive maintenance. All of these features not only boost operational reliability and efficiency, but also significantly reduce energy costs. This is largely made possible by Kaeser`s advanced 3-D Control, which takes into account other factors - aside from switching losses (start/stop) - that influence compressed air system energy efficiency. These include control losses (idling and frequency conversion) and pressure flexibility (average increase above required pressure). This innovative control strategy predictively calculates the optimum achievable configuration and adjusts the connected components accordingly - all based on the specific pressure required by the user. The SAM 4.0 supports operation in 30 languages, while the easy-to-use 12-inch colour touchscreen shows at a glance whether the station is operating in the `green zone` from an energy management perspective.